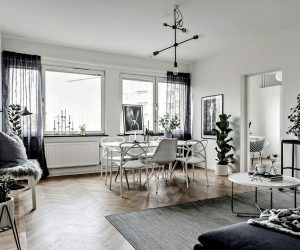 Every space on this blog is carefully crafted by architects and designers, often in concert with homeowners and their own personal style. 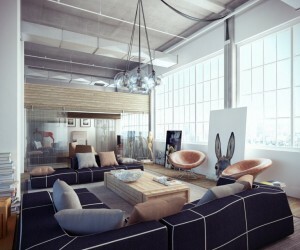 But we would not be able to feature them as we do without the help of luscious, textured, colorful photographs. The images in this post were selected from the portfolio of photographer Tom Ferguson. 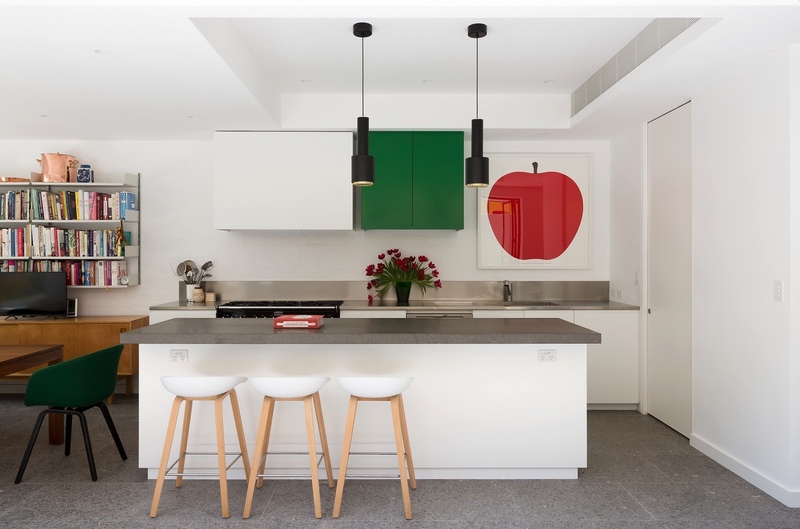 This Australia-based photographer has photographed many different design projects in his home projects and beyond. 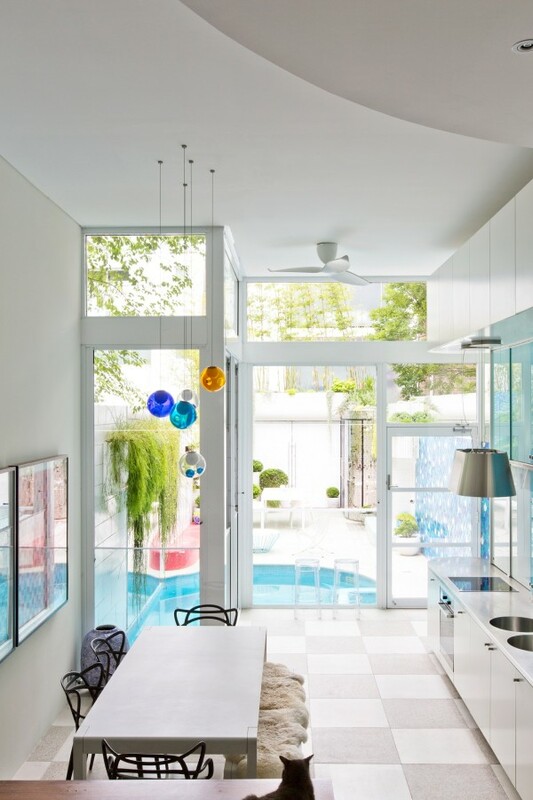 His photographs masterfully capture the vibrant colors of these homes that utilize large natural open spaces, plenty of greenery and modern lines. 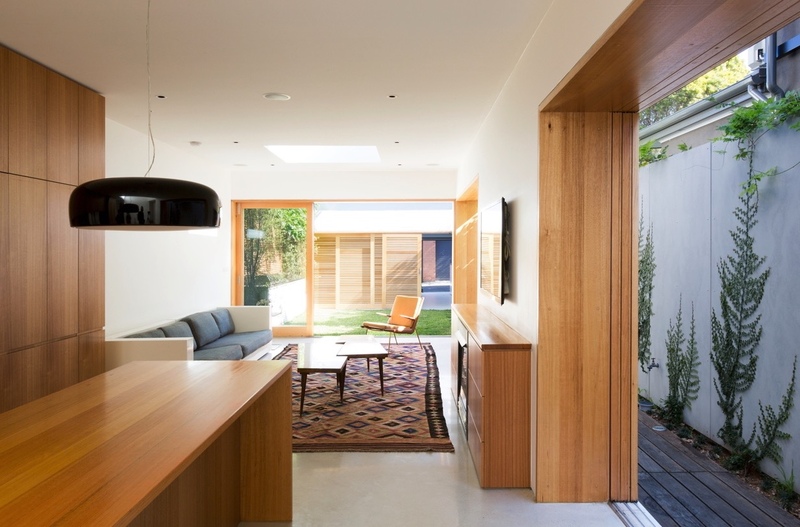 For more gorgeous photos from Tom Ferguson, check out his site. 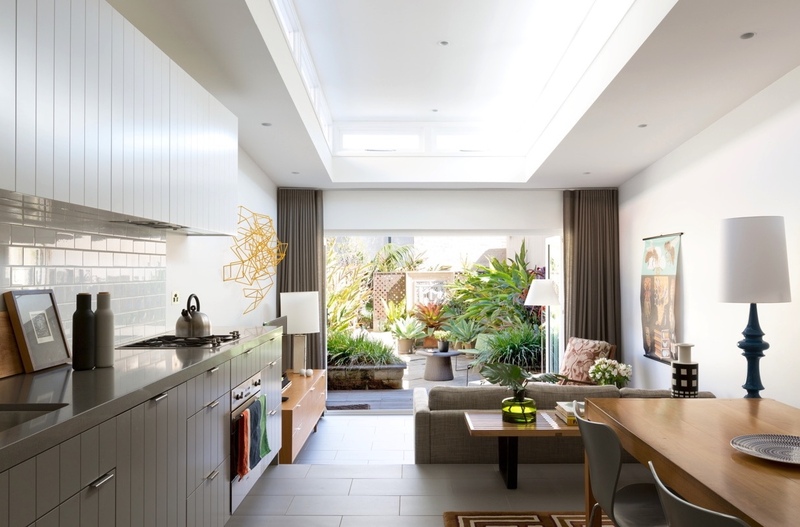 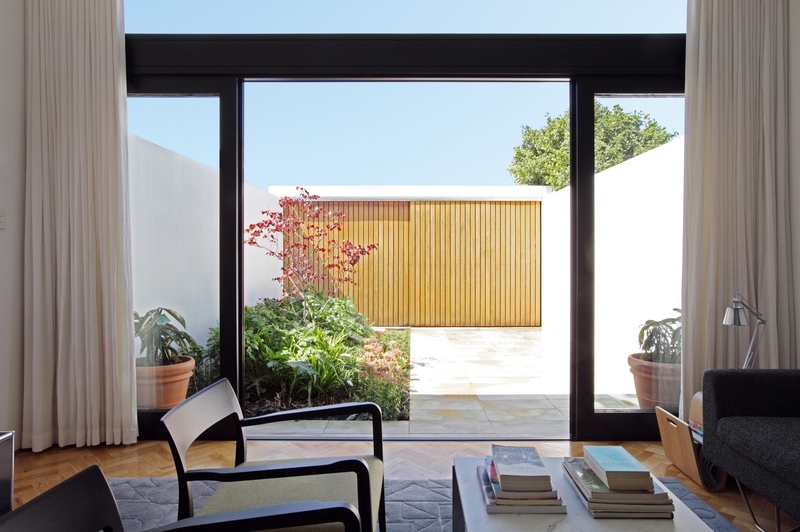 This interior view, with a nearly panoramic look into the garden, is from a terrace house in the Paddington area of Sydney. 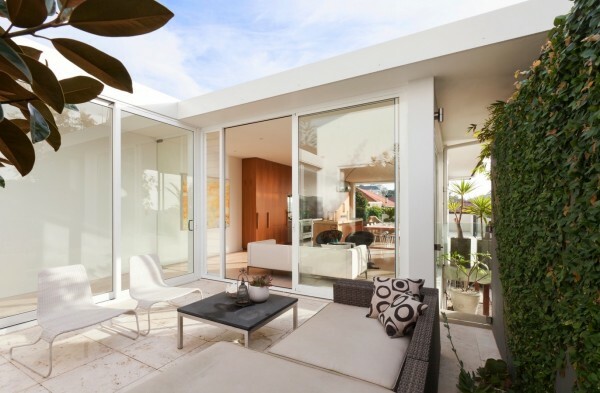 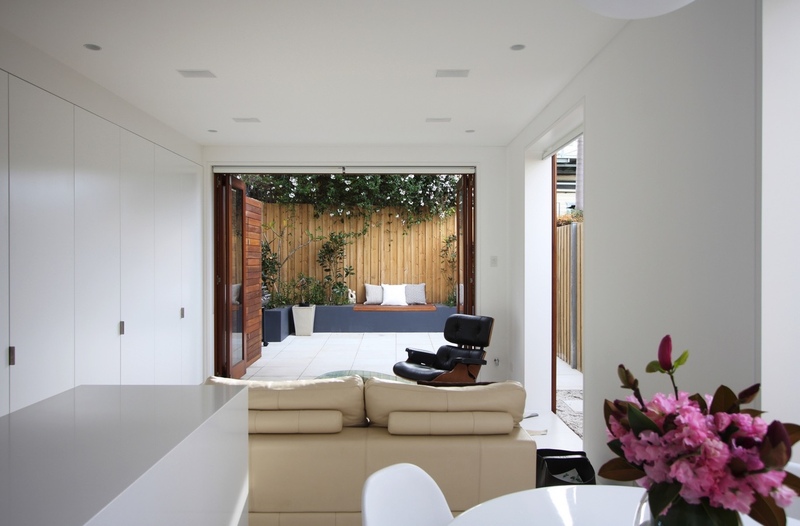 A major renovation of the interior allows this space to blend effortlessly with its outdoor area. 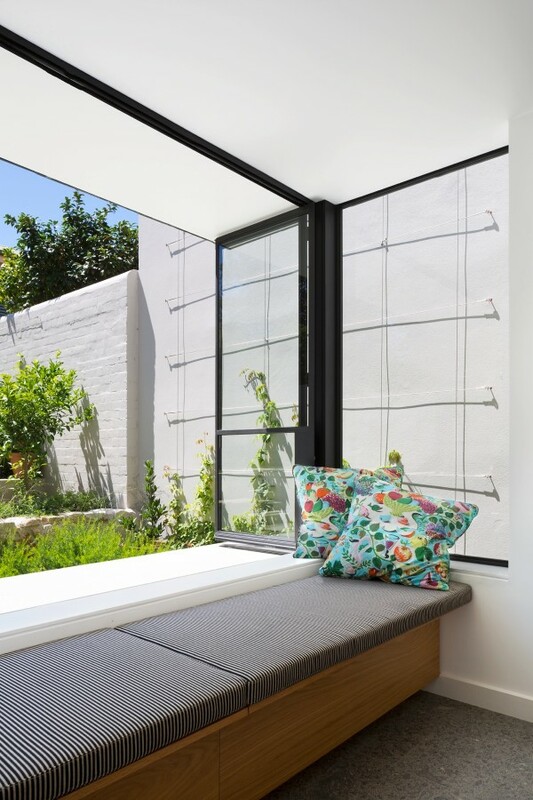 These shots are taken from a renovated terrace home in Randwick that’s listed as part of that area’s State Heritage. The design for this bright and creative interior won the 2014 Belle/Coco Republic Residential Interior Design Award. That comes as no surprise when you see the lovely interiors, freshly landscaped garden area, and clean, modern look. 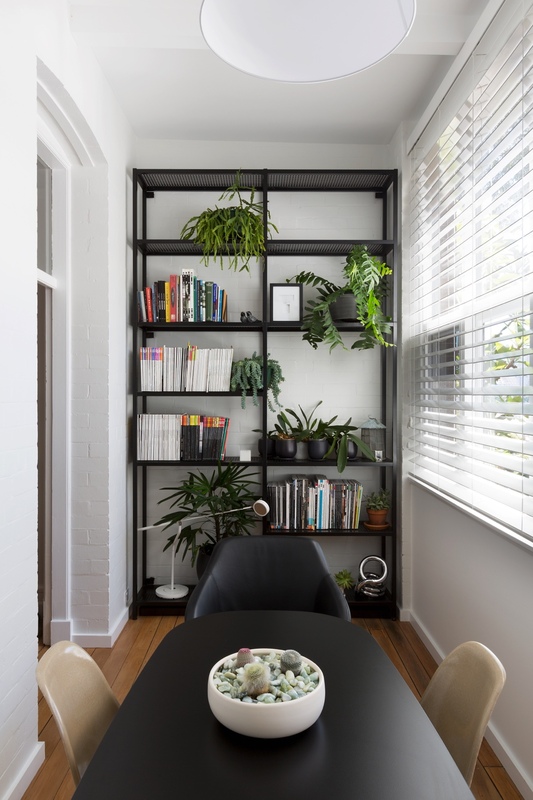 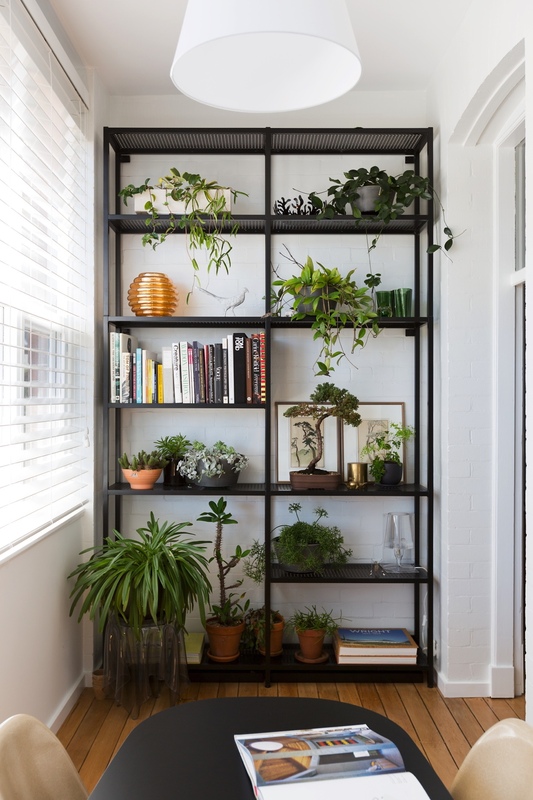 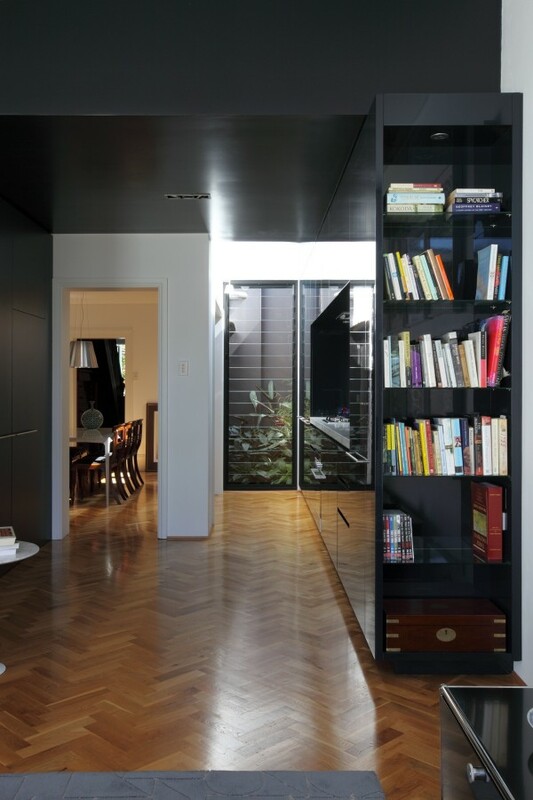 This space is from a Darlinghurst Apartment, a 1915 apartment on the eastside of Sydney that was renovated. 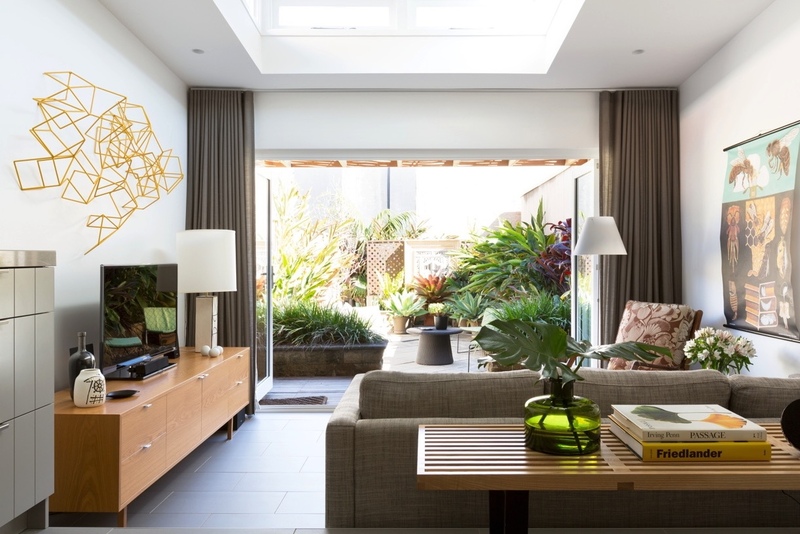 This lovely sunroom feature succulents, bonsai, and of course sunny views of the nature outside. 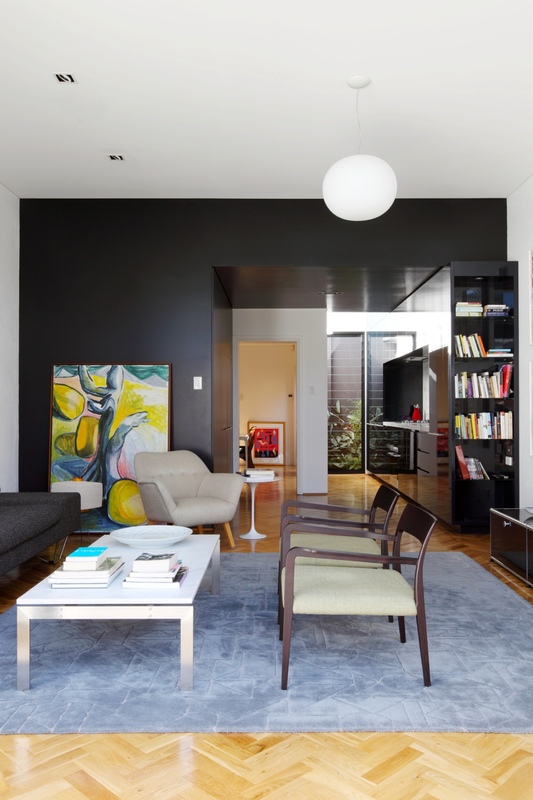 This family home in Camperdown, Sydney, uses playful color to create a perfect family space. 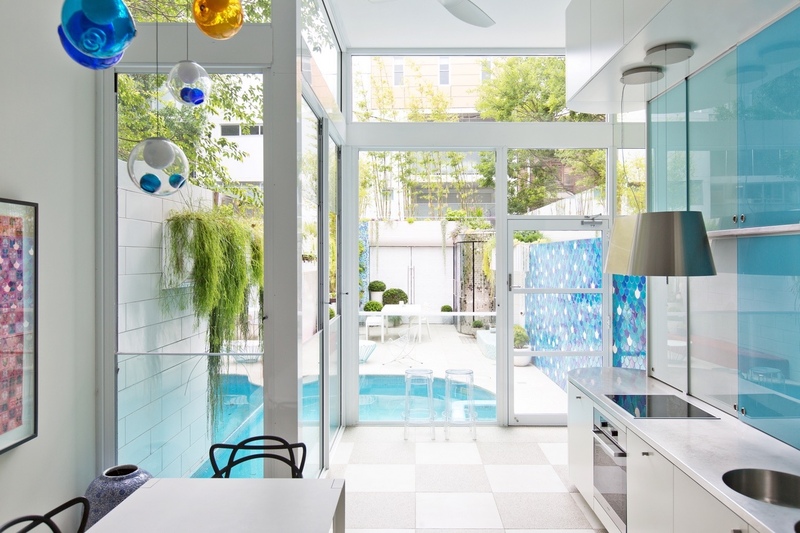 The glass bulbs inside catch the color of the outdoor pool, making the whole kitchen feel as if its underwater. 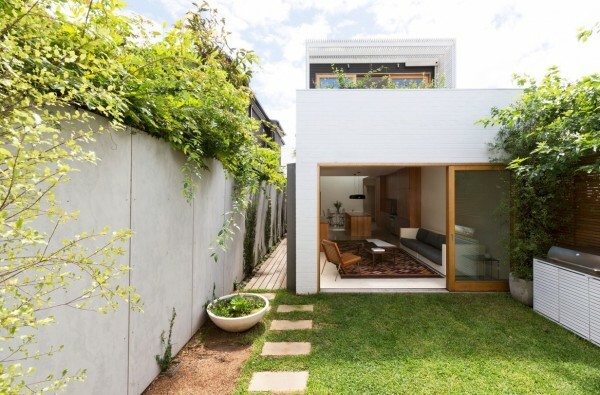 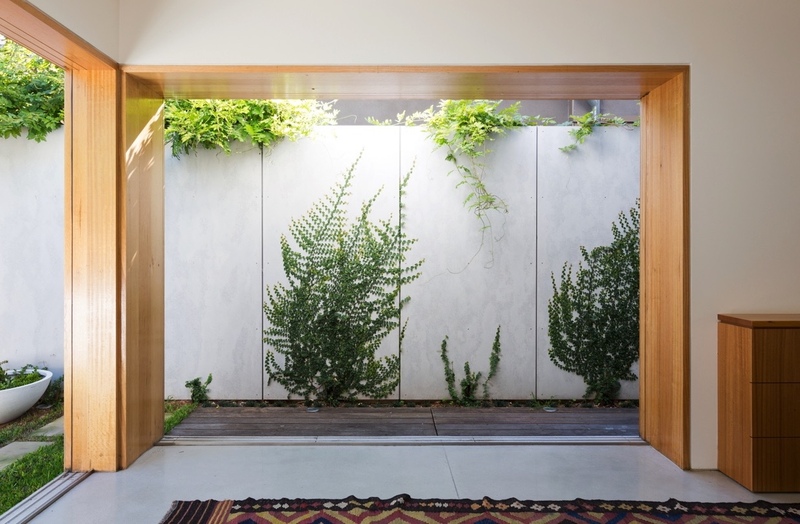 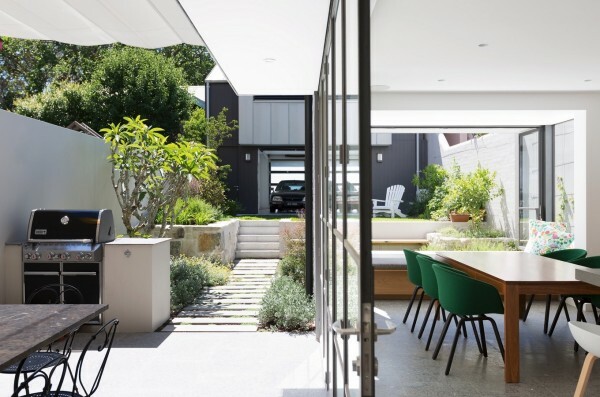 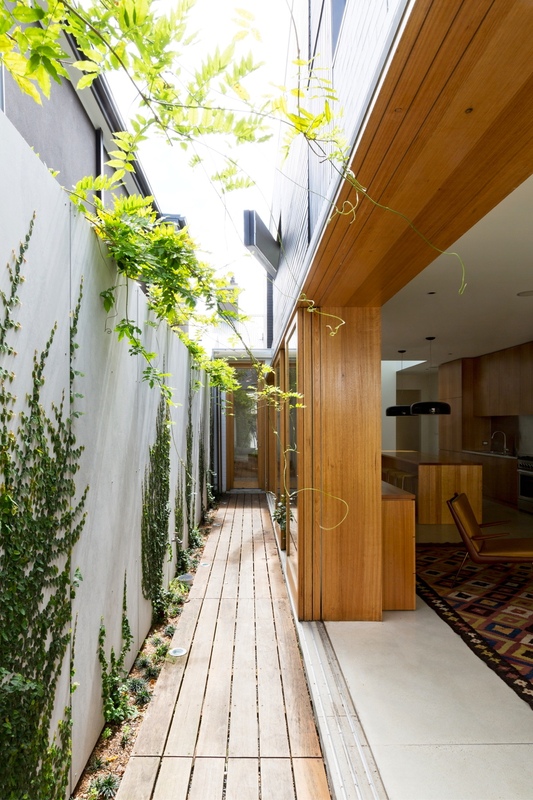 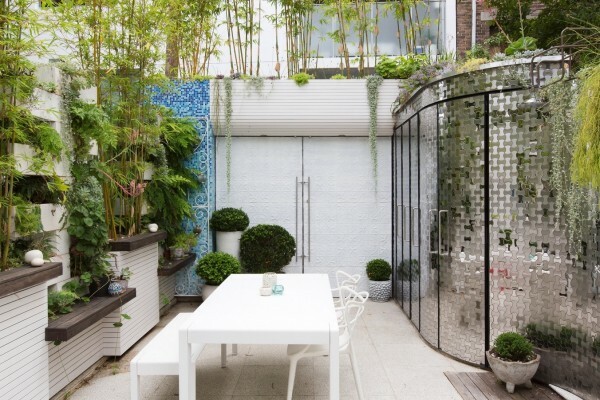 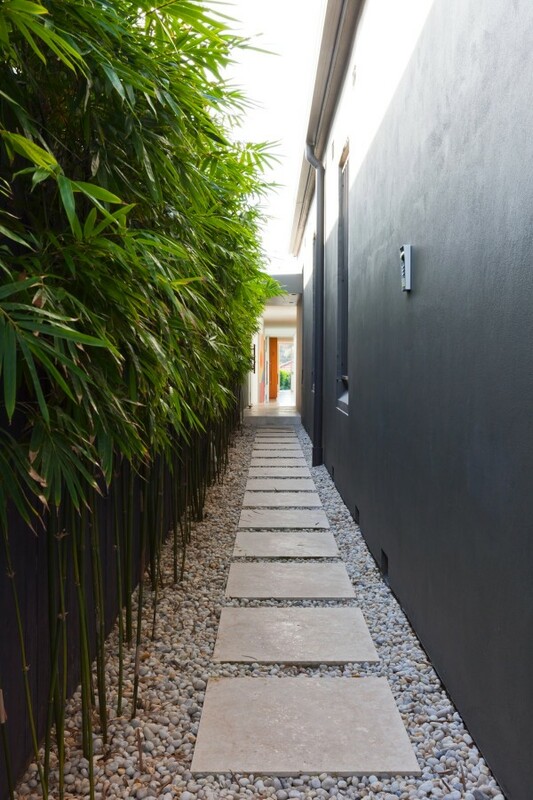 This house also notably features a garden and exterior design from Brendan Moar, who chose the brilliant dangling plant life that overhangs the back patio. 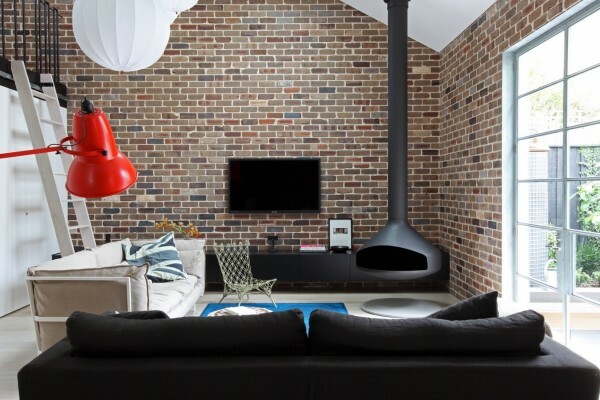 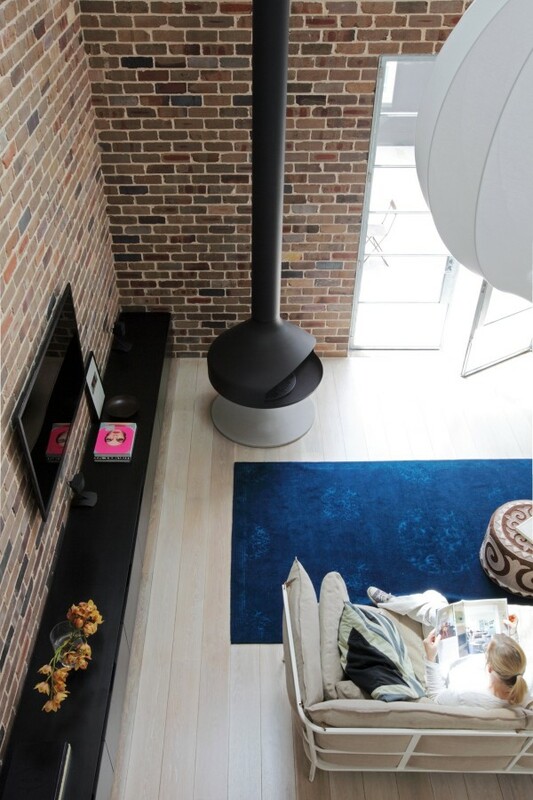 This gorgeous brick house was renovated to give it a much more modern look, including this sleek fireplace. 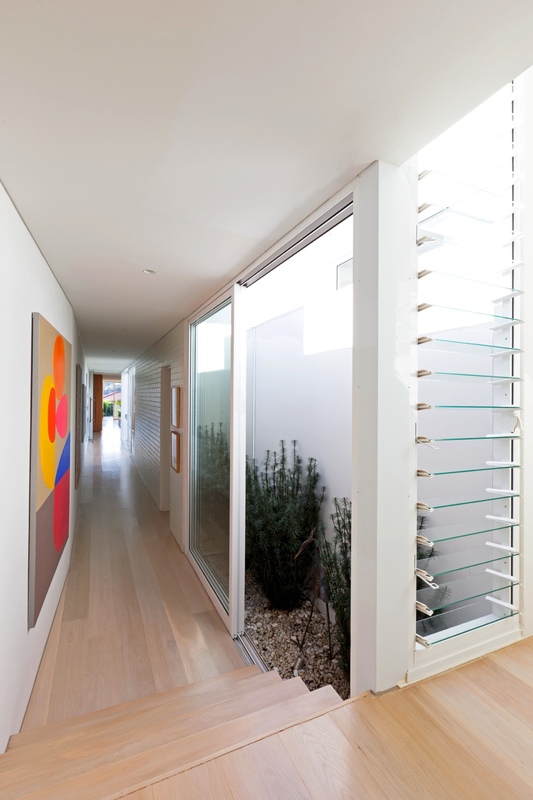 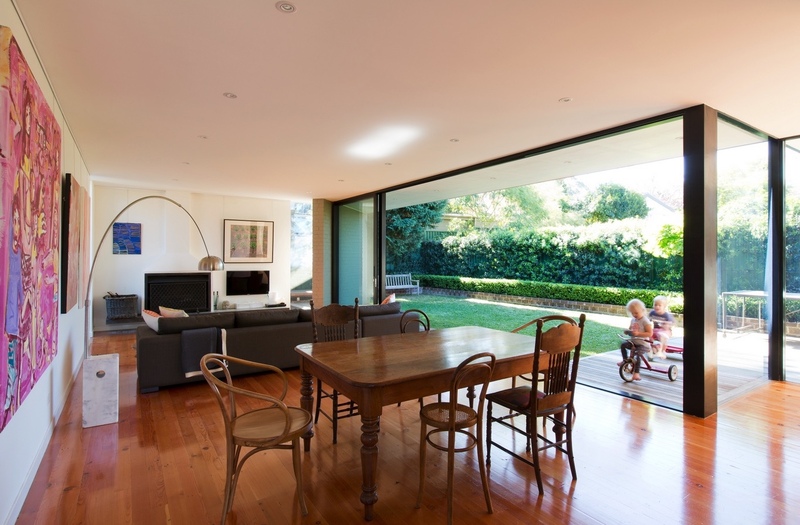 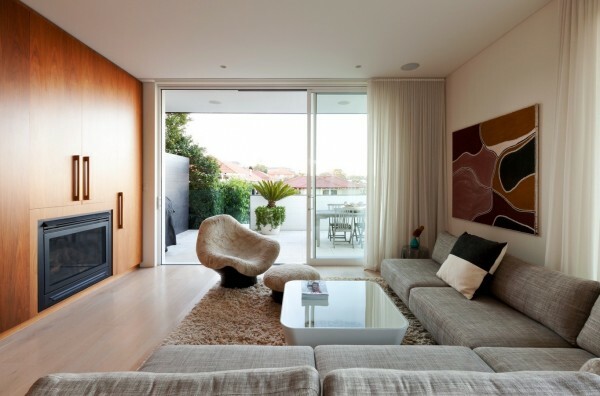 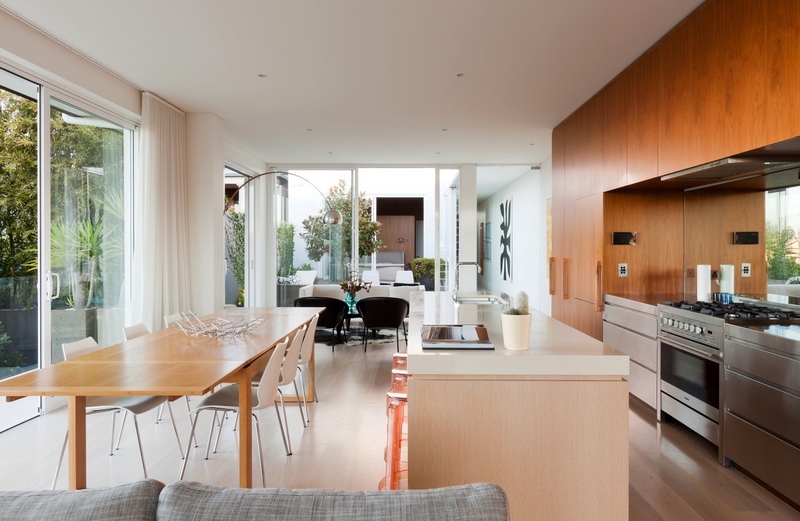 This project, a residential home in Petersham, in Sydney’s Inner West, features incredible floor to ceiling windows. 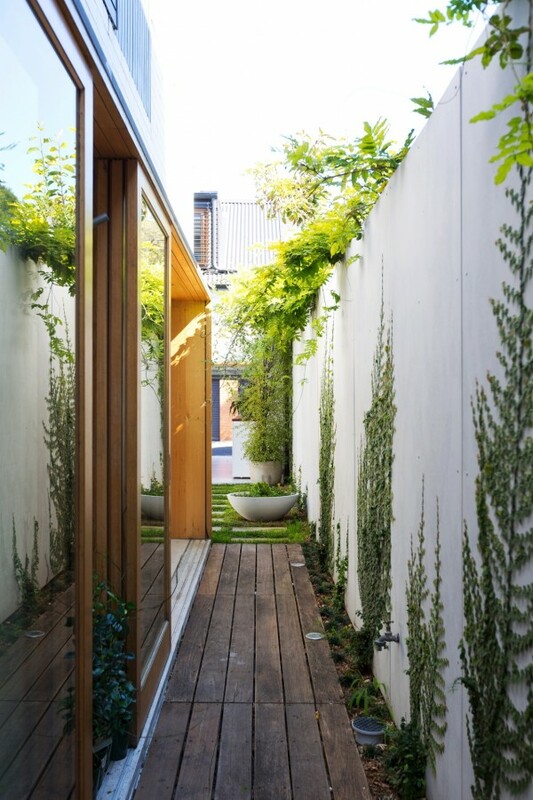 They slide right open into the modern deck area, making a perfect area for kits to run circles and pedal tricycles.